Beginners Guide to iCloud - Know it All! Home How ToiOS	Beginners Guide to iCloud – Know it All! iCloud is an Apple service that allows the Apple iOS and Mac users to synchronize photos, mail, calendar, contacts, notes and more in Apple’s cloud server and access all the important information and files on the go. The iCould client is also available for Windows PC. In case you own an iOS device but not a Mac, you can download the iCloud client to your Windows PC and keep the important documents in sync. The iCloud service does more than just allowing the users to backup files and apps data. In this beginners guide to iCloud, we will take you through all the details that you need to know as a beginner. The guide also talks about the features and the amount of free iCloud storage (5 GB) that it offers to the users. The latter part of the guide also talks about how to use iCloud. iCloud is Apple’s cloud storage service for the Apple device users. If you use an iOS device or a Mac OS (OS X) running PC or laptop, you are entitled to an iCloud account and free data storage. You can store a copy of your important data and access it on the go. You can store contacts, calendar, notes, Apps data and any other important information on the iCloud. The synchronization on iCloud works flawlessly, if you click a picture using an iPhone, it will be available for your iPad, Mac and Macbook and Windows PC instantly through iCloud synchronization. iCloud works on iOS devices, Mac OS running devices and the Windows PC.You can check the hardware requirements for having an iCloud client on the official website. Some features such as back to My mac, restore, backup and find my iPhone, etc. are not available for the Windows users. The iCloud account can be accessed from a web browser as well. To be able to use iCloud, you need an iCloud account/ Apple ID. Below are the requirements and details on how to create an iCloud account. To create an iCloud account, visit the official icloud website. Click on Create yours now link shown on the website. 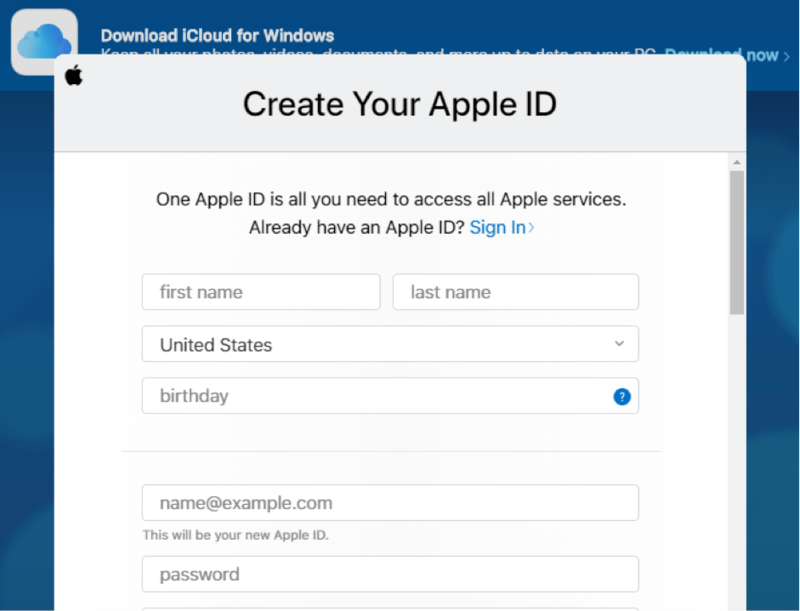 Enter required details and create an Apple ID. Make sure you are running the latest version of the iOS/OS X. Next, go to System Preferences and enable iCloud. You may be asked to enter your iCloud ID/ Apple iD. Allow “Automatic downloads” for iTunes if you want to keep your purchases synchronized. Begin by downloading the official iCloud client for Windows. Launch the iCloud client and login using Apple ID. Enable automatic downloads if you want to. What do you get as an iCloud user? All the iCoud users get 5 GB of free storage space. If the allocated free space isn’t enough, you may upgrade to the premium plans offered by Apple. Apple, unlike its devices, doesn’t charge too much for extra cloud storage space. Below are the charges and allocated storage space for the price. iCloud offers unparalleled synchronization with a set of productivity apps. It allows the user maintain notes, task management, and document creation. Here are a couple of apps that can help you improve your productivity through app management and synchronization. iCloud can save contacts from your phone and synchronize it with your iCloud account making it available for other devices connected to your iCloud account. You can organize contacts into groups, set up reminders for contacts using the app. You can also set other details such as contact picture, website details, office and home address and notes using the contact app. 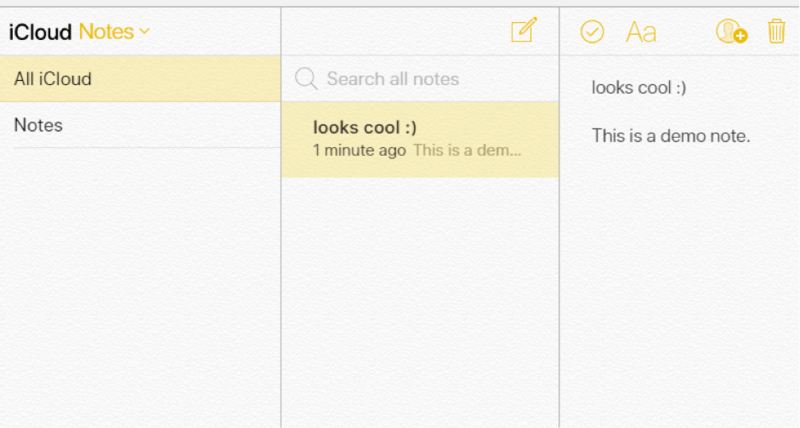 You can take some notes and save them on your iCloud enabled device. The notes will be available for access on all the connected devices. Being able to access it on the go the note app makes it easier to manage the task. Pages allow the users to create reports and documents online. 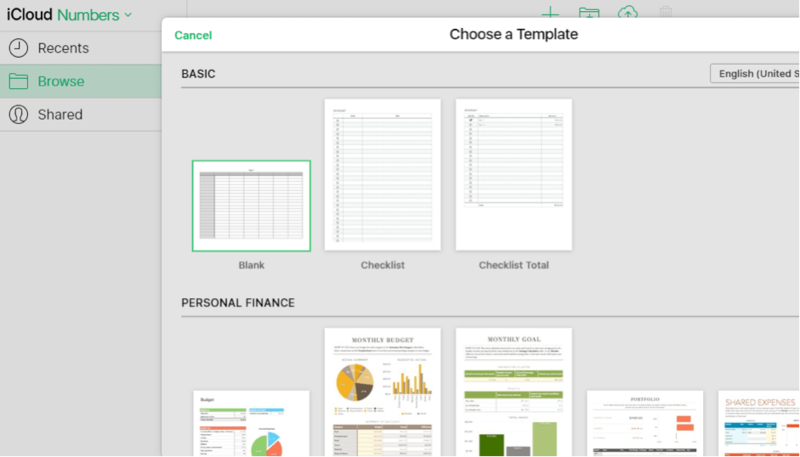 The app comes with several simple yet beautiful templates for different formats. You can create basic documents and save it online and edit them when you have access to proper document editing tools. If you are an MS Excel user, then the Numbers app can be useful for creating quick excel sheets. You can select any one of the finance and number format provided in the app. Apple has alternatives for all the MS Office apps, and one of such app is Keynotes. “Keynotes” is to Apple, what is PowerPoint is to Microsoft. 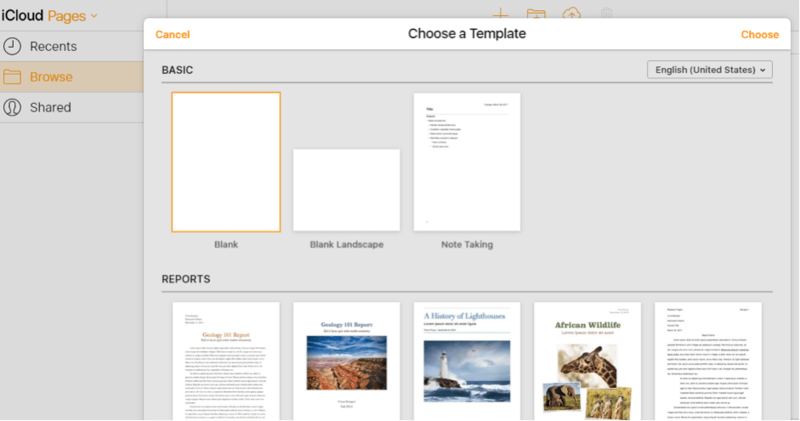 The Keynote app allows you to make a presentation and save the progress on the go. You can create a presentation at home and access the presentation in office without even having to carry the presentation on your laptop or USB drive through the iCloud server. 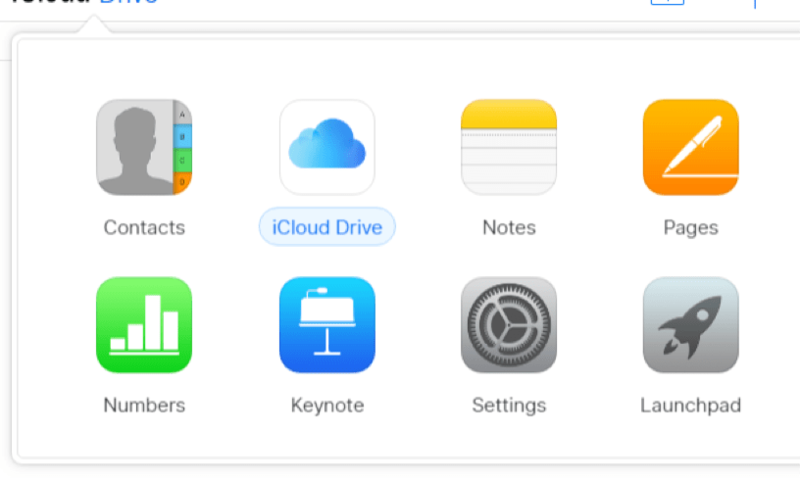 iCloud Drive is where all the files uploaded to the iCloud accounts are stored. It comes with a 5 GB of free storage and space and also allows the users to share the document and folders directly from the drive. Other than the mentioned useful apps, the iCloud also offers set of other features such as Find My Phone, Keychain, remote access, etc. The Find My iPhone is a feature offered by Apple to its iOS device. Using the service, you track your lost iPhone on the internet and trace it down. The only thing required here is that your iPhone should be connected to the internet for live tracking. Else the map may show last known location. Keychain is a Apple service that works like LastPass for Chrome. It is a password managing service, and when allowed, it can store the password for your multiple accounts and save the hassle of remembering the password. If you want to keep track of your children, the location sharing app can be useful. When enabled, you can track the location of any individual by accessing their iCloud account. You can remotely access data from one Apple device using another Apple Device when both the devices are connected to the same iCloud account. The only requirement here is to have both your Apple devices connected to the internet. You can also use the remote erase function to delete all the data on your phone in case it is irrecoverable. Activation lock will lock the device and prevent anyone from accessing your phone without the Apple ID that is originally associated with the iPhone. The iCloud photo library is integrated into the Photos App on your iPhone. When you take a picture or video and are connected to the internet through WiFi or cellular data, the pictures and videos are automatically uploaded to the iCloud. The iCloud photo library keeps your photos and videos organized by date and years. iCloud is a feature-rich service that makes the life of an Apple device user easier. It manages contacts and notes, keeps data synchronized and gives access to all the available data on the go.